The human body is approximately 60% water with muscles being about 75%. This means hydration is a crucial part of your training. Water has many functions but a very important one is the lubrication of your entire body. Think of it as oil in your engine. Without enough water your workout will feel harder than it should, you will be fatigued quickly and muscle recovery will be slower. It is important to hydrate prior to working out, during and after exercise. This will ensure your workout feels great, your heart doesn’t have to work as hard and you can maximize your physical performance. Some other important reasons to drink water would be to fight off illnesses (especially this time of year), aids in digestion (a must for people with constipation issues), bright, plump skin and boost your energy! If I feel sluggish I will chug 16 oz of water and I feel better almost instantly. So, how much water should you drink? A good rule of thumb is to drink about half of your body weight in ounces. Start here and move up as you need to. Your urine should be clear and you should always drink when thirsty. It’s difficult to drink too much water and far more people do not drink enough. 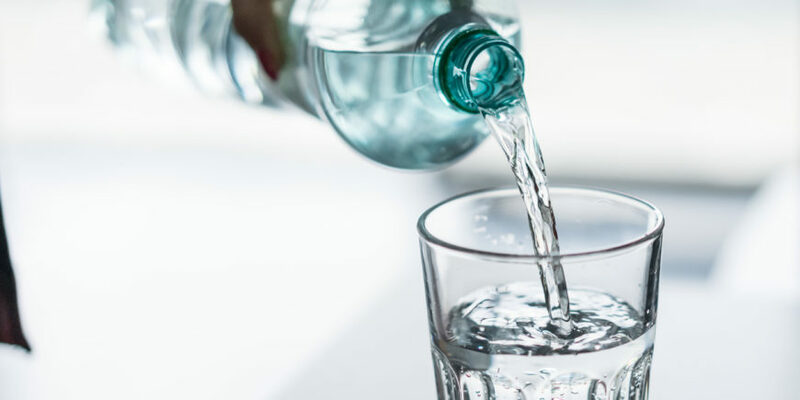 Drinking too much water is due to an abnormally low amount of sodium in your body and would come from drinking gallons and gallons without eating food. Some of my tips to make sure you are hydrated throughout your day and during your workout:1. Take water with you everywhere. I have a 40oz hydroflask that goes everywhere with me!2. Track your water intake. I like to use the app called My Water.3. Aim to drink half of your daily amount by noon.